Are your teeth stained, worn, chipped, broken, misaligned, deformed, or have holes between them and you are worried? Well, don’t be. Modern-day cosmetic dentistry can give you an amazing smile. A “smile makeover” that will enhance the appearance of your smile through at least one or more cosmetic dentistry procedure. Cosmetic dentistry is a method of oral care that centres around enhancing and improving the appearance of the mouth, teeth, and smile. Today, dentists have a wide cluster of devices and methods available to them for enhancing the look of your smile. Bonding refers to the repair of a coloured, damaged, decayed teeth using a durable plastic material that resembles the colour of tooth enamel. Your dentist drills out the tooth decay and the material is applied to the tooth and hardened with an ultraviolet or laser light, bonding the material to the tooth. Your dentist then trims, shapes, and polishes the teeth which gives it a healthy appearance. Though bonding can repair decayed, chipped, cracked, or misshapen teeth; it is one of the least expensive cosmetic dentistry procedures available to patients. Dental veneers made from medical-grade ceramic, are designed individually for each patient to resemble one’s natural teeth. This custom-made shell is cemented to the front of the teeth, changing their colour, size, shape making the teeth look exceptionally realistic. 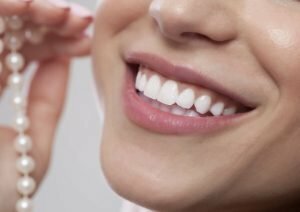 Dental veneers can resolve numerous cosmetic problems, ranging from crooked teeth, to cracked or damaged enamel to noticeable gaps between two teeth. After some years, teeth can become stained or discoloured. This can be as a result of old age, smoking, taking certain medications, or consuming foods and beverages such as coffee and tea. Teeth whitening is one of the most basic cosmetic dentistry procedures and can be done in one of two ways. You can either do an in-office procedure or at home treatment. Your dentist can make a custom mouthpiece plate that guarantees the appropriate measure of whitening solution reaches your teeth. Home whitening can take two to about a month or longer depending on the quality of peroxide used while in-office whitening can happen in one or more 1-to 2-hour visits. Remember, your teeth can wind up stained again on the off chance that you continue exposing them to similar substances that initially stained them. Since whitening products are not intended to clean teeth, it is as yet important to continue practicing everyday oral hygiene by brushing two times every day, flossing at any rate once per day, and rinsing an antiseptic mouthwash day by day. Dental implants are used to supplant teeth after tooth loss. The dentist inserts a little titanium screw into the jaw at the site of the missing tooth, which serves as the support for a crown. These implants are practically indistinguishable from the surrounding normal teeth, and once the bone and supporting tissue bond to the implant, they are forever anchored into place. Patients need to practise daily oral hygiene during the implant period to clean plaque and debris from the area. If you’re considering cosmetic dentistry procedures, count on DonEast Supreme Dental. Our dentist and staffs are dedicated to providing top-notch high-quality dental services to patients across communities in Nunawading, Balwyn North, Box Hill, Blackburn North, Box Hill North, Templestowe.